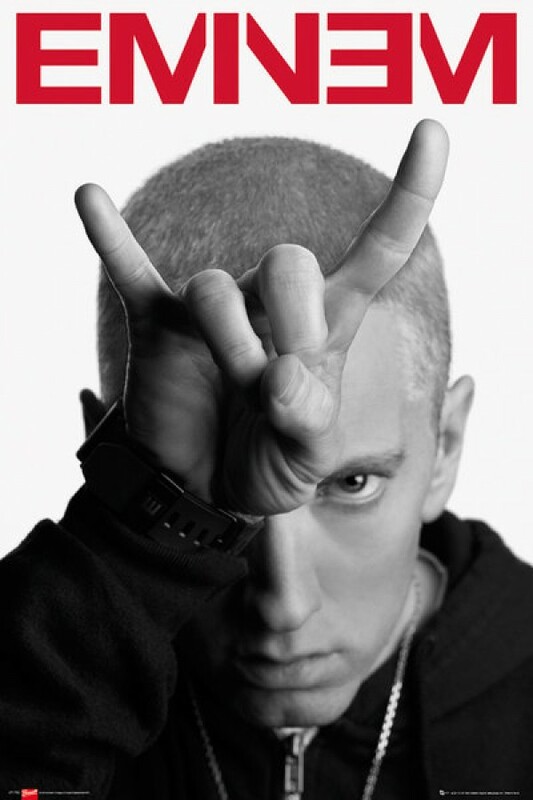 Music posters - Eminem posters: Eminem poster featuring a black and white photo of Eminem posing and making a rock / horns gesture with his hand. 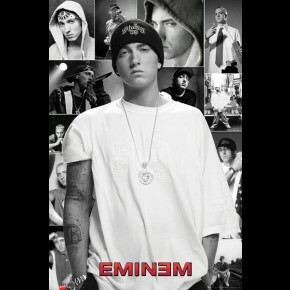 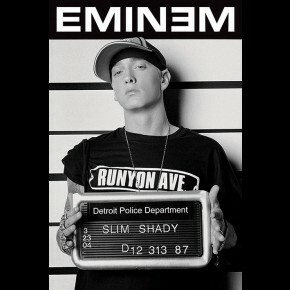 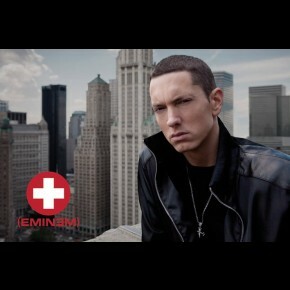 Eminem also appears in red text at the top of the poster. 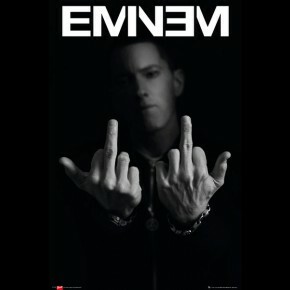 Official Eminem poster.